The Election commission of India Wednesday set up a high-level committee headed by a deputy election commissioner to hold talks with protestors seeking ouster of the Mizoram poll panel chief. In a statement, the ECI said it has accepted the broad contours of the resolution passed by the Mizoram's NGOs coordination committee, spearheading the protest, after its delegation's deliberations with the EC. 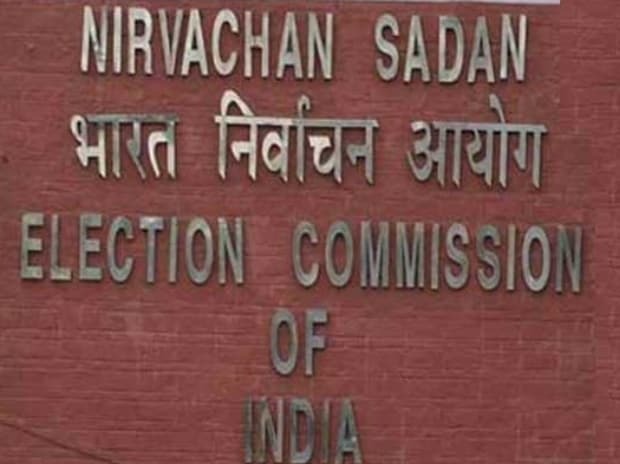 "The Election Commission has also decided to depute a high-level team led by Mizoram Deputy election Commissioner Sudeep Jain to hold further deliberations on their resolution," the statement said. Jharkhand Chief Electoral Officer Lalbiaktluanga Khiangte, who is also a Mizo, has been included in the EC panel. The ECI set up the panel hours after the protests demanding the ouster of Mizoram Chief Electoral Officer (CEO) S B Shashank were called off in Aizawl by the NGO Coordination Committee Wednesday. The protests were called off at 1 pm after the state election officials, including the Mizoram CEO, summoned by the ECI, left for New Delhi, state NGOs coordination committee chairman Vanlalruata said. The CEO left for New Delhi by an evening flight. Earlier in the day, Shashank said he has been summoned by the Election Commission and would meet the poll panel in the national capital Thursday. The agitation demanding his removal was launched Tuesday. It was resumed Wednesday morning by a large number of Young Mizo Association members demonstrating in front of the CEO's office from 8 am. The protestors later dispersed. The Mizoram is slated to go to polls November 28 to elect its new assembly. Vanlalruata said the NGOs' coordination committee would wait and watch the decision taken by the Election Commission of India on the state CEO. "If Shashank comes back, the agitation will be relaunched," Vanlalruata said. The state NGOs coordination committee, the apex body of civil societies and students' organisations of the north-eastern state, has been demanding that Shashank be replaced and transferred outside the state. It has also demanded that 11,232 Bru voters lodged in six Tripura relief camps be allowed to exercise their franchise at their respective polling stations in Mizoram and not in Tripura as committed by the poll panel in 2014. The committee had called for Shashank's exit from the state shortly after the Election Commission (EC) removed the state's Principal Secretary (Home) Lalnunmawia Chuaungo. He had allegedly sought deployment of additional central armed police forces (CAPF) in the state which did not go down well with the committee. On Monday, Chief Minister Lal Thanhawla had written to Prime Minister Narendra Modi that "as people have lost faith in him (Shashank), the only solution for the smooth conduct of the 2008 assembly elections would be removal of CEO S B Shashank from office forthwith." The meeting of a visiting three-member EC team, state government officials and the leaders of the NGOs coordination committee on the current standoff here Tuesday night had remained inconclusive as the team said the final call would be made by the commission. The team members said they would submit their findings to the commission. The agitators are also protesting against the removal of Chuaungo, a Mizoram native and Gujarat-cadre IAS officer. Thousands of people from Bru community had fled Mizoram in 1997 following ethnic clashes. They have since been lodged in six relief camps in Tripura. In the past too, the civil society organisations had opposed the Election Commission's decision to conduct electoral revision of Bru voters in Tripura relief camps. They urged the EC to defranchise all Bru voters who chose to stay back in Tripura and did not return to Mizoram. A 12-hour bandh was observed at Mamit town on Tuesday along the Mizoram-Tripura-Bangladesh border to support the agitation against the Mizoram CEO. Rallies and pickets were organised by the NGO Coordination Committee across the state.